Definition: To formally make a serious promise to do something e.g. tell the truth in court with the same legal effects as taking an oath. 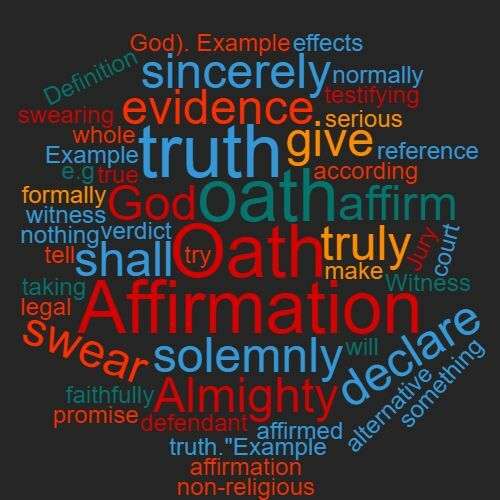 An affirmation is a non-religious alternative to swearing an oath (an oath normally has reference to God). Example: The witness affirmed before testifying.